Gold edged lower on Wednesday, slipping with the euro as expectations that the European Central Bank is almost certain to ease policy this week weighed on the single currency. * Spot gold was down 0.6 percent at $1,253.46 an ounce by 0128 GMT. Gold touched $1,279.60 last week, its strongest since Feb. 3, 2015. 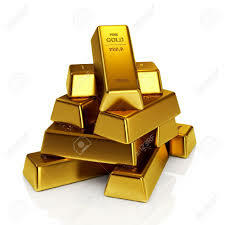 * U.S. gold for April delivery eased 0.7 percent to $1,253.70 an ounce. * Investors expect the European Central Bank to cut its deposit rate by at least 10 basis points and expand its asset-buying programme at its meeting on Thursday. * Gold had been supported by fairly low expectations that the Federal Reserve will raise U.S. interest rates at its March 15-16 policy meeting. The Fed lifted rates for the first time in nearly a decade in December amid signs of strength in the U.S. economy. * The strength is particularly evident in the U.S. labor market after a robust, forecast-beating 242,000 increase in nonfarm payrolls in February. Gold has stood its ground despite Friday’s jobs data as many traders rule out the possibility of a near-term hike in U.S. interest rates. * Holdings of SPDR Gold Trust, the world’s largest gold-backed exchange-traded fund, dropped to 25.4 million ounces on Tuesday, but not far below 18-month highs reached last week. * Asian shares retreated further from two-month highs as lower oil prices and weak Chinese trade data revived concerns about the health of the global economy. * As the euro wilted, the yen was broadly firmer with demand for the safe-haven currency picking up after disappointing Chinese trade data took the wind out of a global risk rally.